Varghese said she often had stomach pains, which she initially dismissed as nothing serious. Doctors at the factory in Kodaikanal, a hill station once used by the British as a retreat during sweltering Indian summers, reportedly gave water and pills to those who felt unwell, telling them to sit outside. She miscarried during her first pregnancy. Her only child, Michael, was born in 2001, and it was soon apparent that all was not right. “He was unable to speak, stand or walk. He could not show any emotion,” she said. Varghese claims at least one local doctor told her the problems could be “mercury related”, but would not put it in writing. 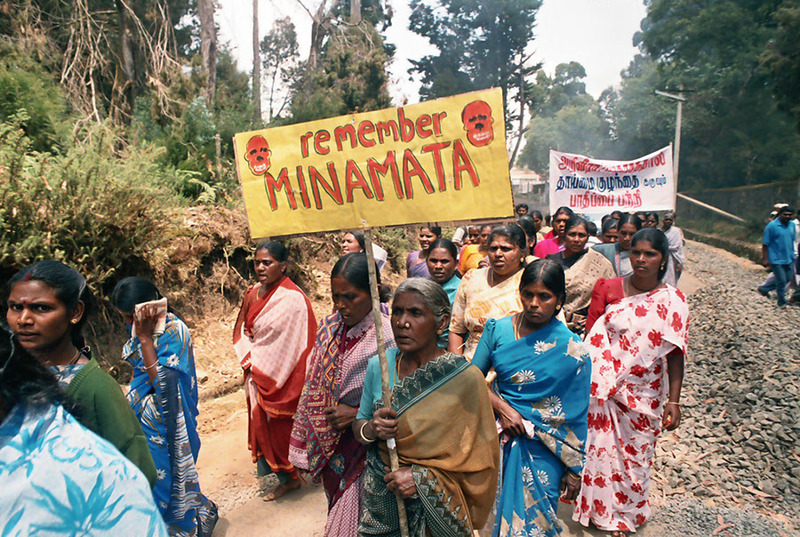 Michael died in 2007, a week after a court-appointed committee visited Kodaikanal, in the southern state of Tamil Nadu, to look into allegations of health and safety shortfalls. His death certificate stated cerebral palsy, which studies have linked to mercury poisoning. Today, Michael is a symbol for hundreds of former workers who fear that lax safety procedures may have caused serious health problems for them and their offspring. Their battle will move to Britain this week when campaigners confront Unilever bosses at the annual meeting in Leatherhead, Surrey. Their presence will be a particular embarrassment for Paul Polman, the chief executive, who claims to have put environmental issues and sustainability at the heart of Unilever’s operations. “Our purpose as a business is about helping to build a world where everyone lives well and within the natural limits of the planet,” the company boasts. In Kodaikanal last week, a dozen alleged victims contradicted company claims that “comprehensive occupational health and safety systems existed”. All told The Sunday Times that they had received no safety briefings at the plant. Their symptoms include headaches, dizziness, memory loss, skin infections, kidney disease and infertility. Some brought along their children, alleging that they too had health problems. In 2011, an Indian government investigation concluded there was evidence that not only former workers but their new-born children too had “suffered on account of mercury exposure”. It recommended that a board be set up to “examine the extent of mercury poisoning”, so compensation could be agreed. Madras High Court is examining the report as part of a case brought by the Ex-Mercury Employees Welfare Association, which has more than 500 members. Last year academics appealed for support from the Leverhulme Trust, set up by the company’s founder, which funds research and education. They wanted it to press Unilever to agree to an independent evaluation of environmental contamination and workers’ health. The trust declined to comment last week. The Kodaikanal story began in 1983 when the American company Pond’s opened the thermometer factory. Young people flocked through the gates, excited by the prospect of working for a global company. Four years later Pond’s India entered the Unilever group through the acquisition of Chesebrough-Pond’s. In 2001, environmental groups revealed that more than five tonnes of broken thermometers had been dumped in a scrapyard. Each kilogram of waste contained just over 50mg of mercury, a level that is considered hazardous. It had been sold to a local scrap dealer, known as Thiraviyam, in late 1999. “They didn’t tell me it was dangerous,” said Thiraviyam, whose family business stands on a hill in a bustling street, close to a church, a mosque and hotels. The factory was closed and Hindustan Lever admitted that safety rules had been breached. The consultancy URS Dames & Moore was commissioned to advise on the site clean-up. In May 2001, it recommended urgent action to prevent “offsite discharge of mercury to adjacent residential areas during periods of high rainfall”. The waste and more than two tonnes of contaminated soil were removed. After studying soil and water samples, and medical records provided by the company, the consultancy concluded that the “risk to human health is negligible”. Later a revised report revealed that mercury losses had initially been underestimated. The report marked the start of more than a decade of claims and counterclaims. The clean-up of the derelict factory site has stalled over minimum requirements. Activists are demanding the “Dutch standard” of 10 mg/kg of mercury concentration. The company says such a strict limit is unnecessary. Nityanand Jayaraman, an environmentalist who is at the forefront of the campaign, criticised the URS report for not examining workers properly and depending heavily on company data. Other critics have questioned the independence and methodology of reports that back Unilever. “It’s OK to come to a conclusion that no effect is there, but the conclusion has to be based on science,” Jayaraman said. There has been no epidemiological study of the entire workforce for 14 years, he added. Varghese and other former staff, such as Ramachandran Chennaiah, 49, hope for a new study to finally identify the cause of their symptoms. Chennaiah worked from 1984 to 2001 as a cleaner and then in the mercury filtration department. He claims he swept up spilt mercury while wearing open sandals and that workers swapped dirty overalls. His daughter, Vinodini, died from a brain tumour when she was 11. Chennaiah has back and neck pain, shaking and memory loss. Like many in Kodaikanal, he dreams of long-term healthcare and compensation. “I had no idea that mercury was dangerous,” he said.